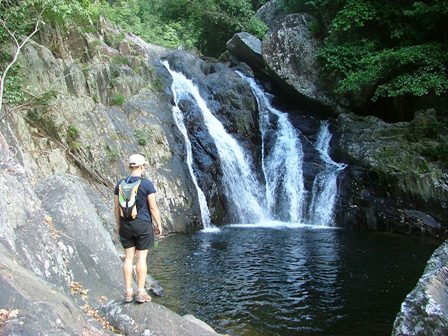 Tucked away in the Mowbray Valley, Spring Creek is a secluded area full of picturesque creeks and waterfalls. 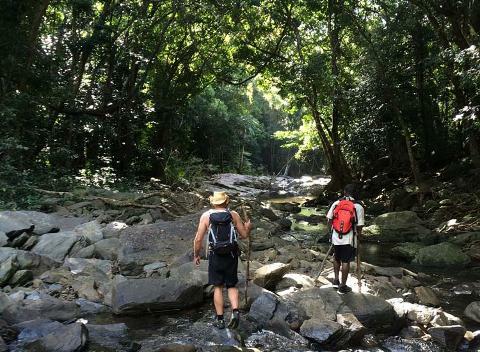 This 3 hour (3km) return walk is great for those adventurous travellers, with no set path you'll need to be steady on your feet as we rock hop along the sides of Spring Creek. A narrow valley leads us up along Spring Creek to reach the magnificent Spring Creek Falls. 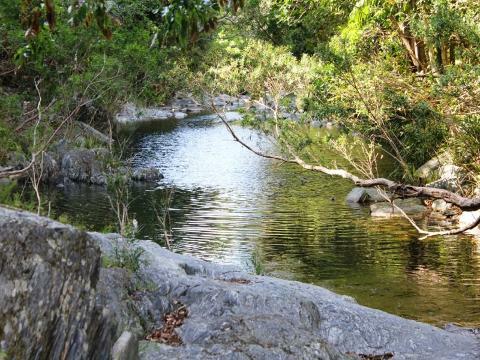 There are plenty of opportunities to go for a swim in the many rock pools that are found along the creek. 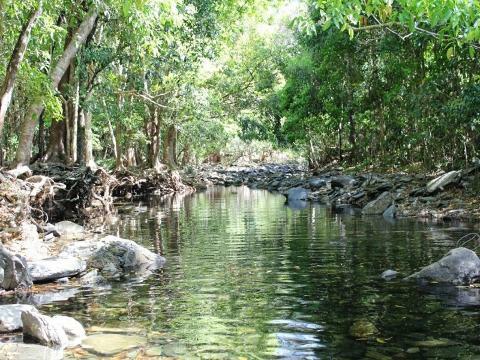 A variety of environments along the way, gives us the chance to experience wildlife unique to the Wet Tropics. A medium level of fitness is useful as we will need to climb over some boulders along the way. Sturdy hiking shoes with good tread are highly recommended as some of the rocks can be slippery. A challenging yet rewarding walk, away from the crowds and a favourite with the locals.